Graduate Research is an all-in-one resource for prospective and matriculated graduate students in the sciences. The newly revised edition includes updates to every chapter. Graduate Research covers a range of topics including writing and preparation of research proposals, developing and refining teaching skills, and ethics and compliance areas such as research involving human subjects and animals. 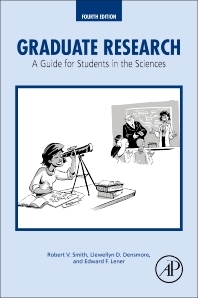 Graduate Research helps readers navigate the multidimensional and interdisciplinary world of scientific research and it is an invaluable resource for graduate researchers as well as those in advising or mentoring roles.